The Beach Family: I won my first contest! 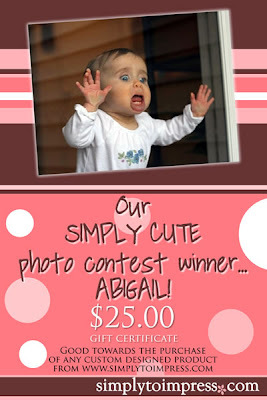 Mommy entered me in a contest last week with my "smooshed face" picture, and I won a gift certificate! It wasn't a huge prize, but you've got to start somewhere! I got 429 votes!!! Mommy has NO idea how it happened, but I did it! Maybe Regis and Kelly will pick me too!